McALLEN — The Rio Grande Valley often feels it deserves to be part of statewide conversations that the major metropolises regularly participate in; after all, there are about 1.5 million people living here. Infrastructure and education funding doesn’t flow to South Texas in the amounts that many Valley leaders believe it should. And at times, the Valley and other border communities, admittedly, don’t stand up for themselves. Beto O’Rourke, the Democratic candidate for U.S. Senate, is a border-native and has been speaking often during his campaign about border communities needing to stand up for themselves. Steve Ahlenius, president of the McAllen Chamber of Commerce, has emphasized “telling our story” to the rest of the state. A big part of telling the story includes food. 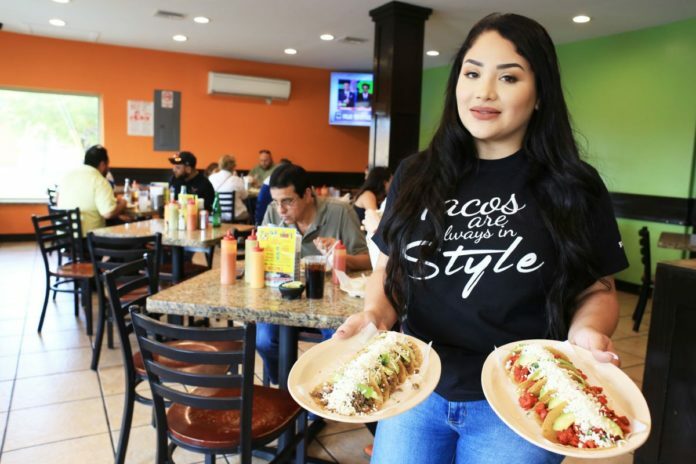 McAllen, in an effort to take the lead for the region, produced a video this week crowning the Valley as the state’s taco leaders. However, two large Texas cities already debated who had the best tacos. Two years ago. While it may not have been the most serious exercise, Austin and San Antonio went back and forth in 2016 about who had the best tacos. News stories were written and videos were made. The mayor of Austin formally declared a taco war with San Antonio. “We let Austin and San Antonio duke it out and have their thing,” said Robert Lopez, who made the taco video with McAllen Mayor Jim Darling. Lopez is the director of convention and sports tourism sales at McAllen’s Chamber of Commerce. He also has a website where he promotes all things local. But recently, Lopez noticed a Dallas magazine anoint the North Texas city as the state’s taco capital. After coordinating with Darling, Lopez wrote the script. There are self-deprecating jokes and jabs in the 40-second clip. Darling and Lopez both said the Valley didn’t need to get into taco debates with anyone. Everyone on the border knows you don’t need to leave to get good tacos, they both said. McAllen has had other priorities, too, Darling added. The city has also been trying to combat what it feels is negative attention on the region, with President Trump’s immigration policies playing out here. So a fun, positive video can help, Lopez said. Darling was also at a Japanese business summit in Houston recently, where all the talk was about the Texas triangle: Dallas, Houston and San Antonio, with Austin right there in the middle of the triangle. There were panels about bringing all kinds of Japanese companies to Texas, but the central Texas triangle of the growing metropolises was the focus.